Feeding the Homeless Project is fortunate to have the support of a variety of corporations, church groups and individuals who sponsor our feedings and serve as our volunteer staff on Saturday mornings. 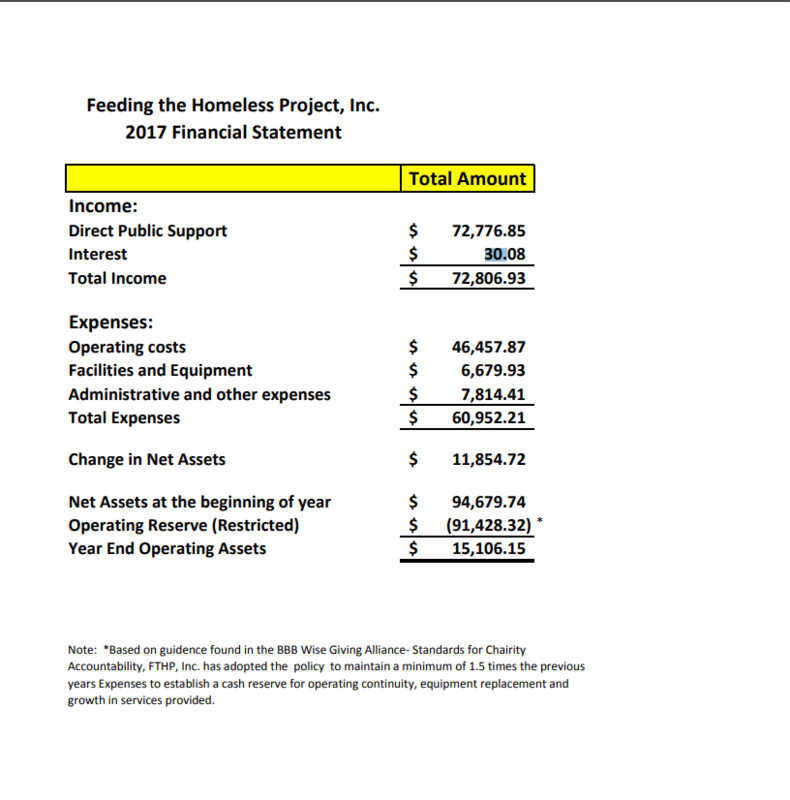 Our board of directors very diligently manages our finance to the maximum positive benefit for our friends on the street. Please follow this link below to view our current financial statement.